The feud between this nation’s great air pioneers, the Wright brothers and Glenn Curtiss, was a collision of unyielding and profoundly American personalities. On one side, a pair of tenacious siblings who together had solved the centuries-old riddle of powered, heavier-than-air flight. On the other, an audacious motorcycle racer whose innovative aircraft became synonymous in the public mind with death-defying stunts. For more than a decade, they battled each other in court, at air shows, and in the newspapers. The outcome of this contest of wills would shape the course of aviation history—and take a fearsome toll on the men involved. Birdmen sets the engrossing story of the Wrights’ war with Curtiss against the thrilling backdrop of the early years of manned flight, and is rich with period detail and larger-than-life personalities: Thomas Scott Baldwin, or “Cap’t Tom” as he styled himself, who invented the parachute and almost convinced the world that balloons were the future of aviation; John Moisant, the dapper daredevil who took to the skies after three failed attempts to overthrow the government of El Salvador, then quickly emerged as a celebrity flyer; and Harriet Quimby, the statuesque silent-film beauty who became the first woman to fly across the English Channel. And then there is Lincoln Beachey, perhaps the greatest aviator who ever lived, who dazzled crowds with an array of trademark twists and dives—and best embodied the romance with death that fueled so many of aviation’s earliest heroes. 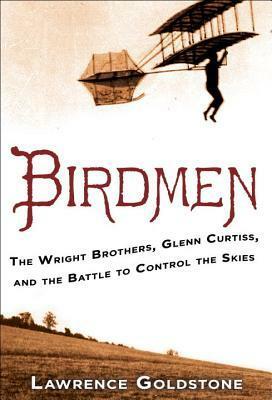 A dramatic story of unimaginable bravery in the air and brutal competition on the ground, Birdmen is at once a thrill ride through flight’s wild early years and a surprising look at the personal clash that fueled America’s race to the skies.